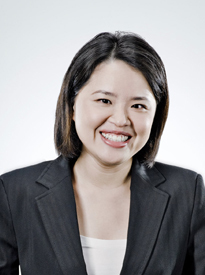 Disa Sim is a Partner with the Appeals & Issues Practice Group in Rajah & Tann Singapore LLP. Disa joined Rajah & Tann in 2007 as a partner. Prior to joining Rajah & Tann, she served as law clerk to the Chief Justice of Singapore, and was subsequently appointed a judicial officer hearing both criminal and civil cases. She also lectured for a number of years at the National University of Singapore, specialising in the law of criminal and civil evidence. Her focus is on corporate and commercial disputes work, with particular emphasis on banking and shareholder disputes. Disa obtained her LL.B (First Class Honours) at the National University of Singapore in 1998, where she graduated at the top of her class. She later took a Masters degree from Harvard Law School, where she received the Addison Brown Prize for the best student essay on a subject related to private international law or maritime law. Disa is also admitted as an Attorney and Counsellor-at-Law of the State of New York. Representing a consortium of five banks in the debt restructuring of public listed company. Advising and acting as legal counsel in joint venture and shareholders’ disputes. Advising and acting as legal counsel for banks to defend private banking claims. Advising and acting for financial institutions on potential disputes under ISDA documentation and the sale of structured notes. Advising and acting as legal counsel for public listed companies in a defamation claim and contractual disputes. Advising the Ministry of Trade & Industry, Singapore on an asset transfer transaction under Section 98, Gas Act. Advising regulators on a variety of regulatory matters. Represented Standard Chartered Bank in complex litigation involving claims by 24 investors concerning the multi-billion dollar fraud perpetrated by former New York NASDAQ Chairman Bernard Madoff. Represented Portcullis Trust (Singapore) Ltd in a multi-million dollar cross-border asset recovery exercise commenced by the Republic of Djibouti involving Singapore, the UK and the BVI. Represented Citibank NA against Oei Hong Leong in a private banking dispute. Represented an American MNC in post-arbitral enforcement proceedings. Represented a structured notes distributor in a pre-action discovery summons against the structured notes manufacturer. Represented a financial institution to resist an application for an anti-suit injunction. Represented a public listed company to successfully strike out a claim to purchase shares. Represented international casinos to recover a gaming debt.